Have you noticed a change in your patio’s colour? Or that your driveway has stains or weeds? These are some of the very common problems you could have with your outdoors hard surfaces. If you need help with them, please call our company and book our perfect and highly efficient jet washing service, because it is unequalled here in Wimbledon SW19. Plus our prices are quite reasonable and affordable to everyone. Call us as soon as possible and let us take care of your cleaning problems. You can call us any time and make an appointment with one of our teams of cleaners. We will send you one of our teams of experts at any convenient for you time. Call our company and hire our jet washing service, we guarantee you impeccable results, punctual and very diligent and detailed cleaning service. 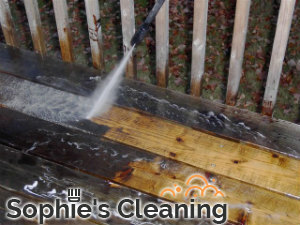 Our cleaners have a lot of experience with a wide variety of outdoors surfaces and their cleaning problems. Our cleaners are qualified and adequate to deal with any problem, and we have equipped them with the best and latest high pressure washing machines. We can guarantee you that thanks to our jet washing service your home exterior will look spotless and very neat. 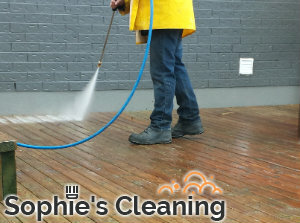 You can hire us to clean any surface – your driveway, your patio, your decking, your terrace – everything that can be cleaned with our high-quality pressure washing machines. And also our cleaners can clean all types of outdoor surface materials – concrete, tarmac, paving slabs, brickwork, natural stone, etc. Our jet washing service is known to be the best one in SW19 London, and we have very economical prices. Call us for an appointment now and see for yourself.